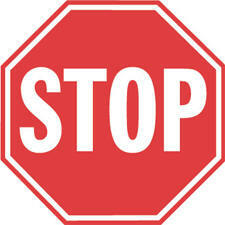 According to the Loudoun County Web site, installation of multi-way (four-way, three-way) stop signs must be justified by the specific conditions of the intersection and surrounding community. Usually developers identify intersections that require stop signs during the design approval phase of development. If residents moving into a new development feel additional traffic control is needed, there are two options. For public streets not accepted into the Virginia Department of Transportation's (VDOT's) Secondary Road System for maintenance yet: The homeowners association (HOA) requests that the developer apply to the Loudoun County Department of Building and Development to amend the developer's approved Pavement Marking and Signage Plan. To accomplish this, the developer is required to submit data and plans for the community showing the interaction between intersections with approved and proposed traffic control measures. The county reviews the request and with VDOT's concurrence approves the change and the developer can install the signs. For existing VDOT-maintained Roads -- The HOA contacts the member of the Board of Supervisors for their district with a copy of the request to County Administration. The HOA needs to submit a community map with locations of existing and proposed traffic control measures (stop signs, yield signs, speed limit signs) indicated. After review, the Board of Supervisors (by resolution) may ask VDOT to install the additional signage. The resolution and all supporting material including that submitted by the HOA is sent to VDOT's District Office for their determination if the signage is justified, and if so VDOT installs the signs. That's great, but how do I get ROADS built in my community? LC Board of Supervisors approve thousands of new homes, yet roads will be funded over the next 10 years. Where's the green light for that? We really need that in our roads.